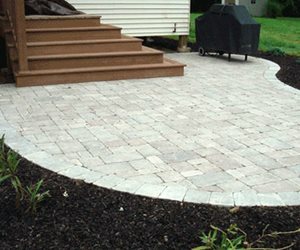 Because every landscape is unique, it's more difficult to apply hard and fast figures for both materials and installation of your paving. Early on in the planning stages, some generalized figures may be used in preliminary cost estimates, but there are a number of unpredictable factors that drive up the cost overall. As costs are finalized, these material and installation costs can be augmented by subtle increases for site specific factors. 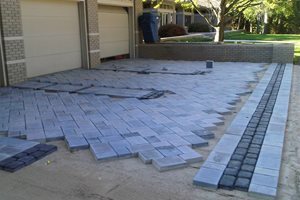 A square patio composed of square pavers is about the simplest kind of project and its installation costs will be at the low end. A curvilinear patio with an elaborate pattern of varying colors requires so much intricate detail that costs can skyrocket. Your project falls somewhere in between and this degree of difficulty will be calculated into the square foot costs. Consider the condition of the area where you're planning the walk, driveway or patio. What is there now? 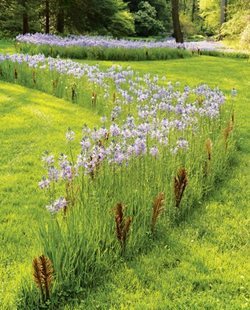 If it's just lawn, this won't impact your cost that much because most projects require some excavation anyway. Should there be a deck or patio or even a structure there, then removal becomes a significant factor. Where there is limited access to the project area due to buildings, narrow sideyards, no sideyards or walls, equipment such as a Bobcat may be prohibited. In such cases the increased labor to move materials by hand can not only influence cost, but it may extend the number of days needed to complete the work. Devin Brunke of Arcadia Design Group in Centennial, Colorado has encountered big cost increases due to limited access. "When we can't unload the pavers close to the installation site, they must be brought in by hand in wheelbarrows. When that's a long way, it drives higher costs. That also takes a much longer time and we need more laborers to move product as it's needed. All that must be factored into the cost of a job." $2 to $5 per square foot. $6 to $10 per S.F. An old concrete slab will require jackhammers to break it up before it can be removed. Footings for an old patio cover must be dug out, and these can be huge in colder climates. Virtually anything that must be removed is covered in demolition costs. With landfill costs and gas prices rising exponentially, the removal of demolished materials can cost your contractor a great deal, and those costs will be passed along to you. When a lot of old concrete or masonry is involved, heavy equipment is needed to load powerful trucks. Add this to the many man hours and the cost to load, haul and dump can add up to far more than you may expect. Areas with heavy clay soil demand absolute compaction to at least 95% to prevent future settling in this kind of soil. This requires more time and special equipment in the early stages of the project. 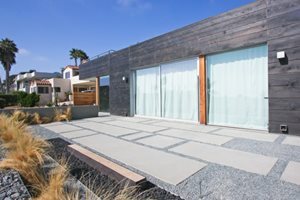 In some cases soil conditions demand the contractor or landscape architect specify a layer of geo-textile that helps maintain structural integrity for the gravel layers to prevent settling over time. To keep the surface of the paving at the optimal level, your contractor will need to excavate. This depth is greater for driveways due to increased thickness of gravel layers than it is for walkways or patios that don't support vehicular weight. Permeable paving also requires additional layers which increase excavation depth. 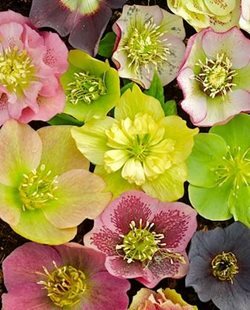 The labor to dig out the area, and whether or not you must haul away the spoils adds more cost. Unless there is a strategy for keeping edge blocks in place, there is a tendency for the outer units to move or settle over time. 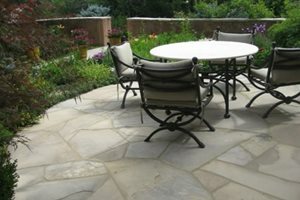 For this reason your contractor will use one of a number of techniques for anchoring the outer edge of the finished paving. This may be an invisible support structure that is covered with soil or lawn. It may be a soldier course of pavers installed deeper on end to anchor the outer edge. A more expensive choice is a concrete strip formed and poured just like a barrier curb that separates a city sidewalk from the adjacent gutter. Each of these choices will add a different level of cost to the project both in terms of materials and labor. When elaborate paver patterns are involved, more units will be required and there will be greater waste. Devin Brunke believes good design can keep costs under control. "People are attracted to amoeba shapes, which are not an efficient use of space. 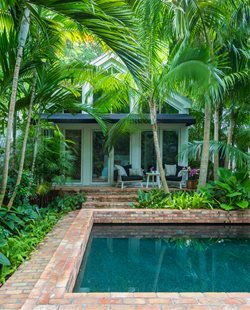 Rooms of the house are square and furniture fits there so we like to carry those shapes into outdoor living spaces. 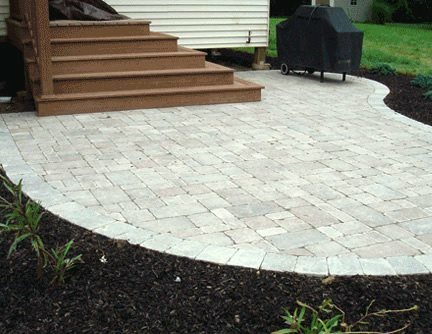 Rectilinear designs always work better with pavers so there's less cutting and fitting." For this reason, discuss the degree of difficulty presented by your choices with the designer or contractor before you make the final decision. This can save you unexpected cost overruns and provide a more accurate estimate.